With the involvement of vendor’s base and industry-experience, we offer a broad assortment of Magnetic Flow Transmitter. Offered transmitter is used to measure the volumetric flow rate of electrically conductive liquids. At our vendor base, this transmitter is carefully manufactured in compliance with global set standards from quality assured material and the latest techniques. We provide this transmitter to our clients in different models and other specifications at reasonable prices. 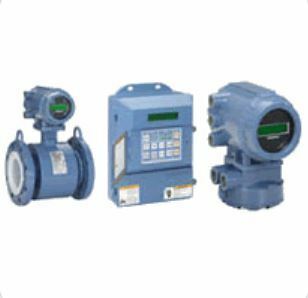 Founded in the year 1995, we “Supreme Technology” are known as the foremost Trader, Wholesaler, and Supplier of the best class Pressure Transmitters, Temperature Transmitters, Flow Meters, Flow Transmitters, Level Switches, Level Transmitters, Flow Measurements, Moisture Measuring System, Weighting Devices, Gas Analyzer, etc. We operate in research and industrial environments where superior technical standards are highly appreciated. Our technically advanced core products and outsourced equipments are coupled with continual improvements for high performance. These exclusive ranges of products are widely supplied to several commercial clients at the nominal market price. We are a Partnership Company that is located at Mumbai (Maharashtra, India). We offered the products under the brand name Reotemp, Fischer, Ametex, ABB, EYC, Omega, Dynasonics and many more.